Currently the GAM program has been suspended. We will update this page if the program resumes. Do you love ASPB? Do you have a friend or colleague you think would benefit from engaging with ASPB? Ask him/her to join, and we’ll reward you each time a someone you referred joins? A strong word-of-mouth marketing campaign is the surest way to promote the continued growth of ASPB. Colleague referrals are the number one way that new members learn about ASPB. As an active member, you not only know the value that your membership provides in advancing your career and strengthening your profession, but you are also in daily contact with a wealth of prospective members. A growing ASPB means greater recognition for plant science, more resources and support for members, like you, and a louder voice in government advocacy. 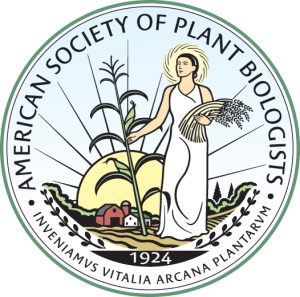 Recommend ASPB membership to plant science friends, to your students and your colleagues. You can use the template below, or create your own email. Make sure to copy Shoshana@aspb.org so we can record who referred the new member. I have been a member of ASPB for X years and have found it very valuable because _____________. I think that you would also find membership valuable. It is easy to join online If you have any trouble joining or have questions about membership, contact ASPB’s Membership Manager, Shoshana Kronfeld at shoshana@aspb.org. Let me know if you want to hear more about ASPB membership. Once your colleague pays their membership, you will receive an entry in the monthly drawing for a $50 Amazon card for each new member you recruit. Are you a master recruiter? Recruit more new members and you will also receive a lapel pin you can wear to ASPB and other events that mark you as an ASPB recruiter. Counts are for all members recruited starting November 1, 2018 until program end date April 30, 2019. There are no limit to the number of pins you can receive – get all four! After you recruit your first ten members, you can start working to receive your second Bronze, Silver, Gold and even a second Platinum Pin. A new member is considered anyone who has not held ASPB membership in the last 3 years and joins at any paid level. The referring member must have a current membership at the time the referral is made. Students and postdocs joining through the Give Your Students Roots program, the ASPB Conviron Scholars program, SURF or other ASPB student programs, ARE NOT eligible to be counted as new members for recruiters. Members that receives free membership ARE NOT eligible to be counted as new members for recruiters. Members that receive a discounted membership ARE eligible to be counted as new members for recruiters. Program rules and incentives are subject to change by ASPB. Identify the best prospects. Review your network of professional colleagues, students and friends and identify who could benefit from ASPB membership. Tell the story about why you’re a member or what you have gained from your ASPB membership. Provide examples. A positive testimonial can be one of the strongest tools when recruiting new members. Focus on their needs. Ask questions about their career goals, and based on their answers, identify and highlight the benefits of greatest value. This makes the conversation feel more like colleagues sharing solutions, and less like a sales pitch. Follow up. Touch base in a few weeks to see if they joined or have any questions. If they haven’t joined, this follow-up can serve as a gentle reminder. And if they have, it’s a nice opportunity to welcome them to the ASPB. Take the time to say thanks. Send them a short message thanking them for considering ASPB membership and supporting plant science. You might consider asking if they have checked out your favorite ASPB or Plantae resource, joined a group or participated in a discussion. You can also ask if they plan to attend the next local or national meeting. Need recruitment materials for an event or discussion – contact Shoshana Kronfeld, shoshana@aspb.org. A growing ASPB means greater recognition for plant science, more resources and support for members, and a louder voice in government advocacy.